A very distinctive range which adds real interest and detail to your home as each piece is handmade from multi-coloured stained mango wood, intricately cut and pieced together to produce this distinct parquet star design. The range runs from a very bold dining table which is not just practical but adds a real understated glamour to your room and the side board will make a spectacular statement in any room. Immerse your home in beautiful artisan craftsmanship with our Ashton Dining Table and Bench. Handmade from multi-coloured stained mango wood, intricately cut and pieced together to produce this distinct parquet star design. Finished with forged iron legs and a resin-sealed finish. 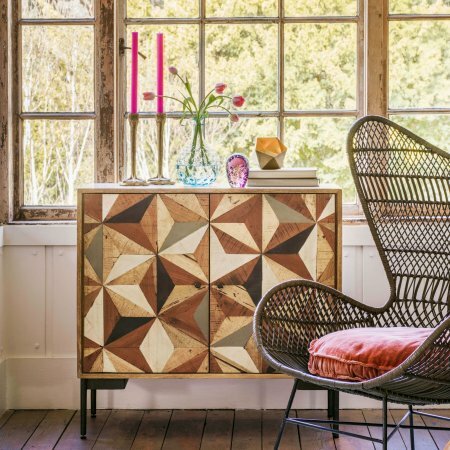 Handcrafted by skilled artisans in India from multi-coloured stained mango wood, pieced together to form an exquisite parquet star design, our Ashton Sideboard is a remarkable style statement. 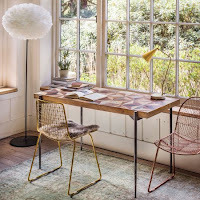 With a protective, resin-sealed finish and forged iron legs, this exceptional piece of furniture provides useful storage and will be treasured for years to come. 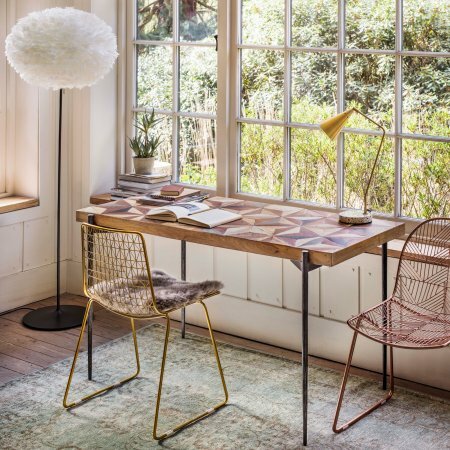 Truly unique, our handsome Ashton Desk will make a distinctive addition to your home office. 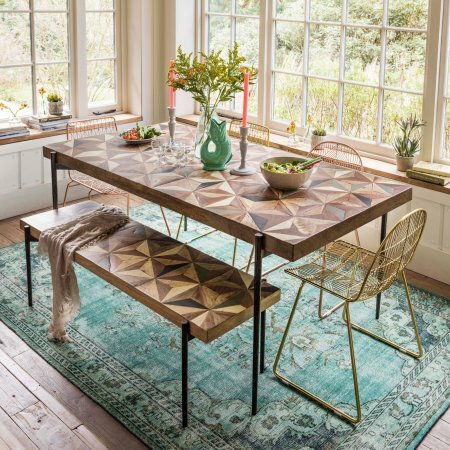 Handcrafted in India by skilled artisans, each piece of mango wood has been expertly stained, shaped and pieced together to produce this incredible parquet star design. Forged iron legs complement the tabletops beautiful blend of earthy tones, finished with a resin seal to preserve its characterful qualities. With intricate inlaid wooden pieces creating a stunning parquet star design, our handcrafted Ashton Console is a unique piece of furniture. The resin-sealed finish provides a protective layer, minimalising wear and tear and the forged iron legs hint at a mid-century design influence.